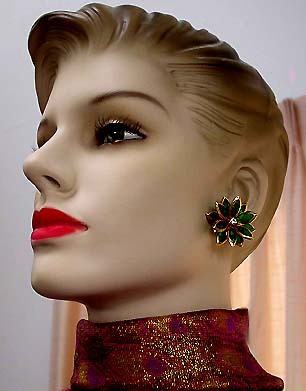 VINTAGE COSTUME ESTATE ANTIQUE JEWELRY EARRINGS! 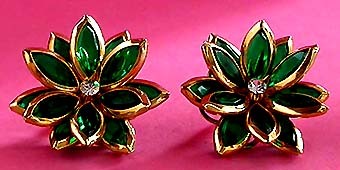 Emerald Green Glass Stone Rhinestone Goldtone Floral Vintage Post Earrings For Weddings, Proms, Pageants And Parties! 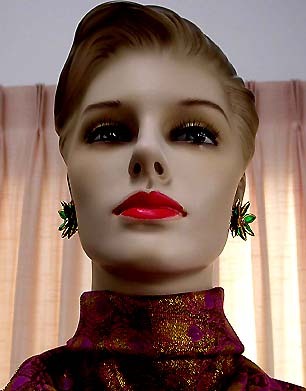 Item #E168337 - Emerald Green Glass Stone Rhinestone Goldtone Floral Vintage Post Earrings. Size: Length: 1 1/4". Width: 1 1/4" at the widest point. 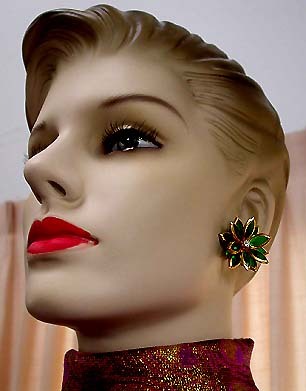 Stepped into a summer garden in full bloom wearing these exquisite vintage flower earrings! 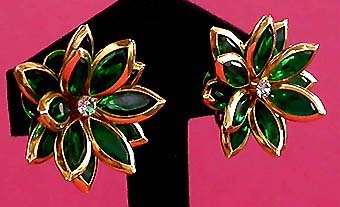 The gorgeously rich emerald green glittering glass petals are backless and are mounted in shiny high polished goldtone frames for stunning color contrast. They are done in layers and thoughtfully arranged to sit at an upward angle to maximise the radiancy of a full bloom. 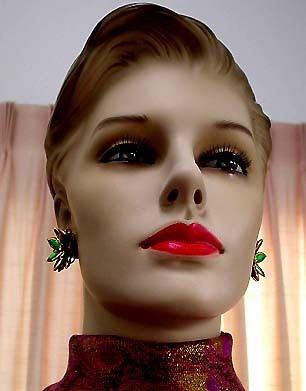 These vintage beauties are an ultimate expression of femininity and grace! For pierced earrings. Near mint condition. Fabulous earrings for weddings, proms, pageants, cruises, parties and special functions! US$78.00. SOLD.